Munro Contracting is a competitive exterior finishing company in Ottawa that strives to maintain fairness of cost while providing great quality products. Munro Contracting has combined experience in new construction, residential and commercial applications. We are able to provide the following supply and/or install: •Siding - James Hardie Fiber Cement Siding, Premium vinyl siding, Steel siding & Wood siding •Aluminum Soffit, Fascia, & Seamless Eavestrough - Variety of different colours •Roofing – Premium roofing products such as GAF and Owens Cornings & Steel Roofing System •Framing •Decks •Concrete slabs •ICF Foundations 15 years of business has given us a reputation of reliability and honesty working at a personal level with every customer. We take pride in living and working in the great communities throughout Ottawa. 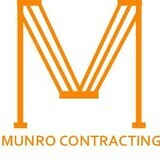 Please feel free to contact us at munrocontracting@hotmail.com if you have any questions or would like a quote. Entrepreneur général et spécialisé, Rénovation à Gatineau avec qualité et assurance!, RBQ" De votre salle de bain, cuisine, planchers, sous-sol, structure à votre toiture, revêtement exterieur. We are specialists in the installation of all types of sidings. 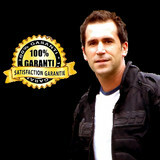 FL Home Improvement has satisfied many customers in the Ottawa area. We have gained specialization in insulated sidings, asphalt/steel shingles and energy efficient doors and windows. Most of our business is built upon referrals from our satisfied customers. We take pride in offering superior home exterior solutions within client’s budget. All our work is handled by our expert supervisors with minimal sub-contracting. We have served both residential and commercial sectors with a proven track record. From the simplest residential sidings to large commercial office complexes, rest assured as we have the right expertise to get the job done. We are committed to delivering the finest standards of service in the Ottawa home renovation industry. Our best value services are availed by property managers and local building inspectors. When you select RMS AND SON you are choosing the best. With over 20 years of combine experience and satisfied customers. 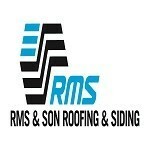 We are a dedicated siding company, and specialized in all kinds of siding and Roofing work, RMS & SON provides a unique and professional experienced to all clients. We have competitive prices with warranty in labour and manufacture for all of our projects and provide services to builders and homeowners in the Ottawa areas and regions. 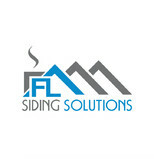 Supplier / Installer of exterior building products. DB STUCCO DESIGN is a stucco contractor that specialize in interior and exterior stucco application services in Ottawa and surroundings areas.We work on both residential and commercial buildings. DB STUCCO DESIGN provides application, restoration, patching and repairs of stucco on your home projects. We design happiness. At A.C. Stucco & Parging, we specialize in designing, building and restoring Stucco and EIFS Systems (Exterior Insulation and Finish Systems), as well as plastering and moulding for both residential and Commercial/Industrial buildings in Ontario. We also offer parging and parging restoration services. Our crew have experience ranging from 10 to 15 years. They have excellent work ethic and are able to complete large projects at a timely fashion. Kaiser Sealant & Caulking Inc.
Kaiser Sealant & Caulking Inc. is an Ottawa fully bonded and Insured based company that specializes in all type of sealant and Firestop application in the area of Ottawa and nearby for Commercial-Residential-Institutional and Industrial needs We are a reliable efficient service company while maintaining quality excellence at competitive prices. Since its inception, Kaiser Sealant & Caulking Inc has become one of the most recognized and reputable caulking companies in Ontario. · We offer unbeatable quality · We provide consistent and fast service · We offer competitive pricing Kaiser has grown so quickly that for the last years we have accomplished more than 200 projects, and at the date we haven't had any complaint nor workmanship failure. That's more than 200 satisfied clients! Our mission is to help Home owners, General Contractors, property managers and building owners to beautify, preserve and protect their investments. When you hire Kaiser Sealant & Caulking Inc you are partnering with a caulking company that values High end Quality, Teamwork and Satisfaction. These values apply to our clients and everything we do at Kaiser. RenovAction is your Ottawa exterior home renovation specialist. Family owned, we provide Quality Products, Expert Workmanship, and Outstanding Warranties. Charette Construction & Renovation Ltd.
Charette Construction & Renovation offers sales & installation of doors & windows, siding, roofing. Exterior construction and renovation services in the Ottawa area. When it comes to Exteriors, Siding Installation and Roofing Contracting, no one compares to We Do Siding. With years of combined experience, We Do Siding has worked hard to build the trust of our clients in Ottawa, Orleans, Kanata and beyond. Visit our website to learn more. Or better yet, click the link and call us today! We are a family owned company. Our motto is " installed with quality and pride" Our core business is exterior siding, permanent roofing, windows and doors. However we have expanded our offering to include decking, fencing, interlock stone, interior flooring, basements, kitchens and bathrooms. What types of siding services do Ottawa exterior contractors provide? Wood siding needs more maintenance than less-expensive, low-maintenance vinyl siding, but with proper care it will outlast vinyl siding, which can fade and crack over time. Your Ottawa, ON contractor might also suggest fiber cement siding, which is fire resistant and termite-proof and can come with a warranty of up to 50 years. Find siding and exterior contractors in Ottawa, ON on Houzz. Narrow your search in the Professionals section to Ottawa, ON siding and exterior contractors. Find out how long an Ottawa, ON exterior remodeling contractor has been in business, view portfolios, read reviews and get contact information.